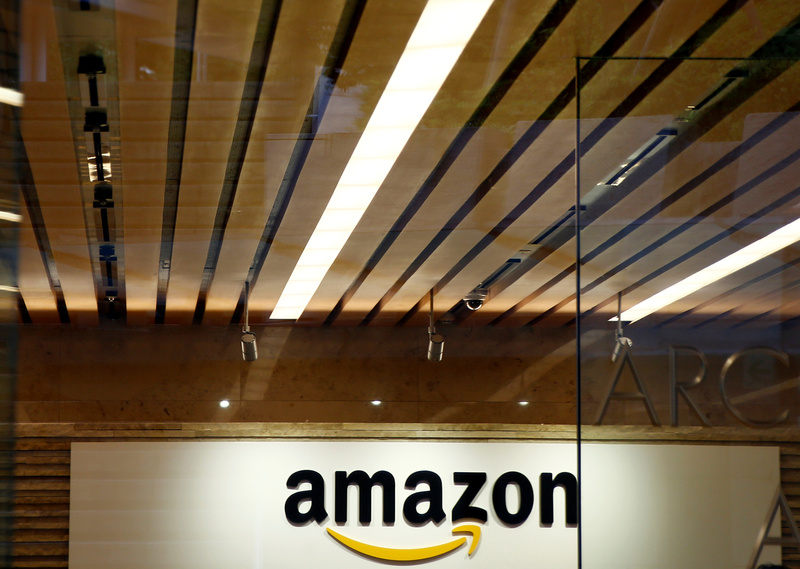 The e-commerce giant’s blowout $16 bln bond deal suggests further potential for it to pursue M&A. Yet in nearly tripling debt to buy brick-and-mortar Whole Foods, Jeff Bezos’ outfit is starting to look like a traditional retailer. The risk is that its stock will do the same. Amazon.com's logo is seen at Amazon Japan's office building in Tokyo, Japan, August 8, 2016. Amazon on Aug. 15 sold $16 billion of debt to finance its $13.7 billion acquisition of Whole Foods Market and repay $1 billion of debt coming due later this year. The Seattle-based company offered notes and bonds in seven tranches, with maturities ranging from three years to 40 years. Bank of America Merrill Lynch, Goldman Sachs and JPMorgan were bookrunners on the deal.